Brit bands almost always have an easier time than Yanks of grasping the intricacies of the Laurel Canyon sound that ushered in a new era of folk rock in the late 1960s. American acceptance has been well-earned by Minibar, which has found kindred spirits in Ryan Adams of Whiskeytown (recording one of his songs), Wilco, and the Jayhawks (opening shows) and T Bone Burnett (producer of band’s Universal debut Road Movies). This is one of those rootsy acts that understands how to layer pop elements--particularly three-and four-part harmonies--and deliver them in an oh-so-mellow, soothing fashion. 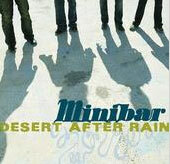 Minibar’s showcase gig at the Mint lacked some of the sharpness of the disc, a summery and enjoyable debut that brims with deft compositions and the steady hand of Burnett. The title track, a delightful mid-tempo ode to California, came off strongest in the hourlong set, as they hit the harmonies with the wistful innocence of a wandering visitor to the Golden State. That sunshine-and-freeways vision has a melting quality when it comes from a foreigner; they’ve so perfected it that it’s absolutely jarring when leader Simon Petty spoke with a British accent rather than a twang from the Valley. As they charged through their rougher material, Minibar displayed learnings that, while decidedly British, defy the state of Britpop. Geffen had a similar act, albeit American, a few years back called Big Blue Hearts. Minibar isn’t as slick as that act just yet, but they beam with a similar sincerity as the Hearts, and that may just be the band’s ticket to something more. © 2001, Variety Inc. All Rights Reserved.